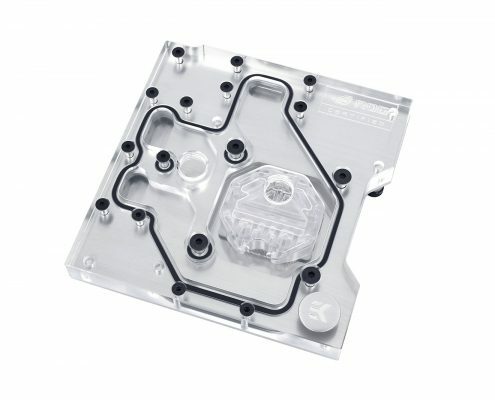 EK releases monoblock for ASUS® ROG Maximus IX Hero motherboard! 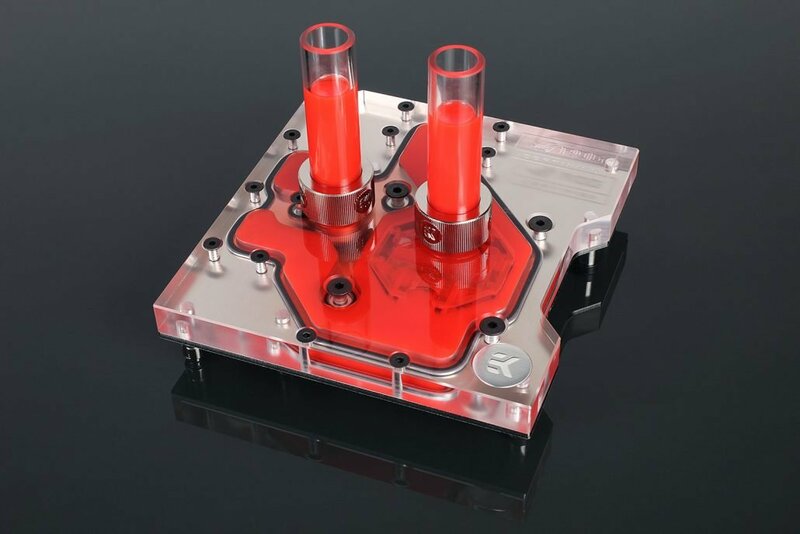 EK Water Blocks, the world renowned premium liquid cooling manufacturer, is proud to release their monoblock liquid cooling solution for the ASUS® ROG Maximus IX Hero motherboard. The EK-FB ASUS M9H is first in the line of monoblocks for socket 1151 ASUS Z270 chipset motherboards. 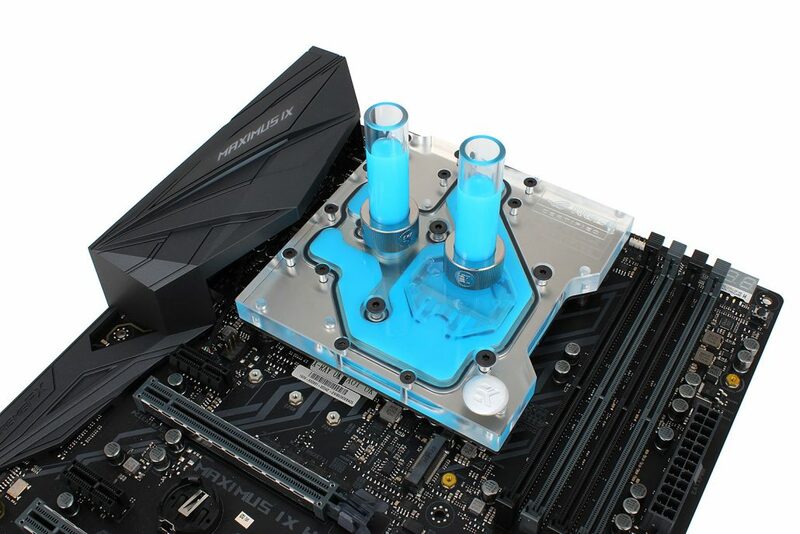 EK-FB ASUS M9H Monoblock is a complete all-in-one (CPU and motherboard) liquid cooling solution for the new Intel® Z270 Express Chipset LGA1151 ASUS® ROG Maximus IX motherboard that supports the latest 7th generation and 6th generation Intel® Core™ Processors as well. Designed and engineered in cooperation with ASUS®, this monoblock uses award-winning EK-Supremacy EVO cooling engine to ensure best possible CPU cooling. This water block directly cools Intel® LGA-1151 socket type CPU, as well as the power regulation (MOSFET) module. Liquid flows directly over all critical areas, providing the enthusiasts with a great solution for high and stable overclocks. 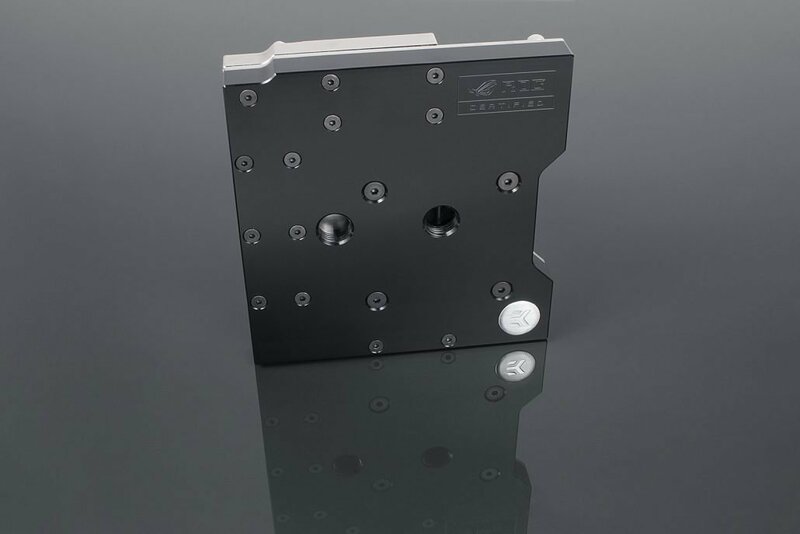 Like with every EK monoblock, EK-FB ASUS M9H features high flow design and this monoblock can be easily used with the system using a weaker water pump as well. The base of the monoblock is made of nickel-plated electrolytic copper while the top is available in two options, one is made of POM Acetal, and the other out of acrylic glass material. 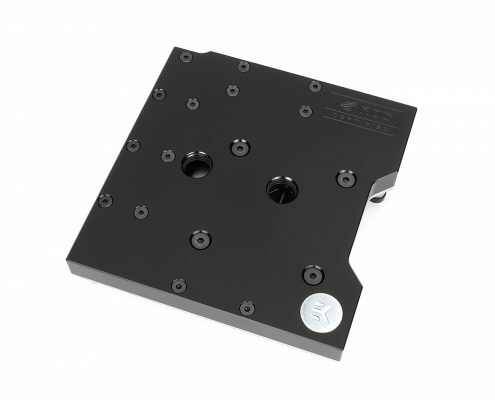 The EK-FB ASUS M9H monoblock is made in Slovenia, Europe and it is already available for purchase through EK Webshop and it will shortly be available at our Partner Reseller Network as well. In the table below you can find MSR prices for the EK-FB ASUS M9H with VAT included.